Here’s a really cool photo showing US Army and British paratroopers jumping out of C-130J Super Hercules airplanes in a line at Fort Bragg. 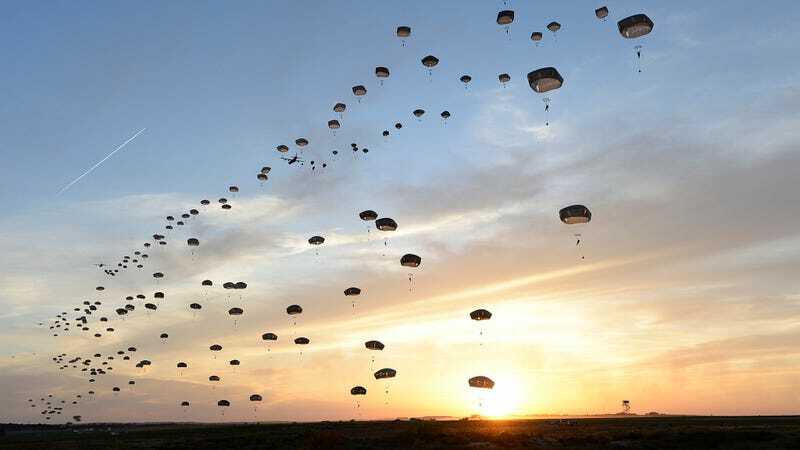 It was the largest jump exercise in 20 years at Fort Bragg and there are so many paratroopers filling the sky that it looks like a floating human wall (okay, a fence?) has been created.